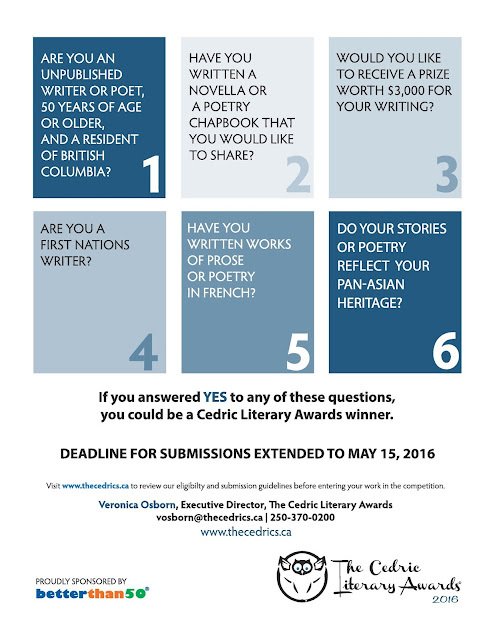 Attention all Asian Canadian writers 50 years and older! Let's change the landscape of literary awards by providing a unique platform to recognize and reward unpublished English and French-speaking authors of fiction, creative non-fiction and poetry, and First Nations writers over the age of 50. Launched in 2014 under the proud sponsorship of Betterthan50 ® the awards program is a first-of-its-kind in Canada, and in its inaugural year (2015) captured the interest of writers, publishers, and organizations that support and promote authors across the country.